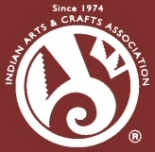 If you have 'Artie Yellowhorse Sleeping Beauty Turquoise Navajo Pendant' in your shopping cart go to View Cart at the top of the page to check out. If you are having any problems with the checkout process we are here to help. Call us toll free 1-877-892-0297 to place your order. 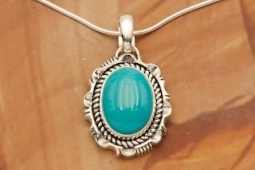 Genuine High Grade Sleeping Beauty Turquoise set in Sterling Silver Pendant. Created by Navajo Artist Artie Yellowhorse. Signed by the artist. The Sleeping Beauty Turquoise Mine is located in Gila County, Arizona. the mine is now closed and the stones are obtained from private stashes. Free 18" Sterling Silver Chain with purchase of pendant.